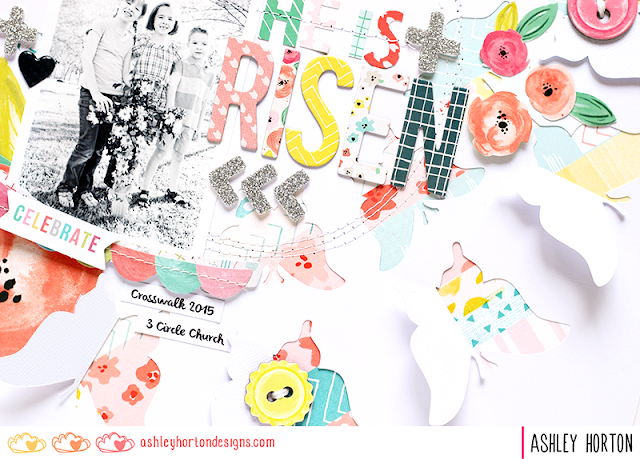 Ashley Horton Designs: He Is Risen & FREE Cut File! 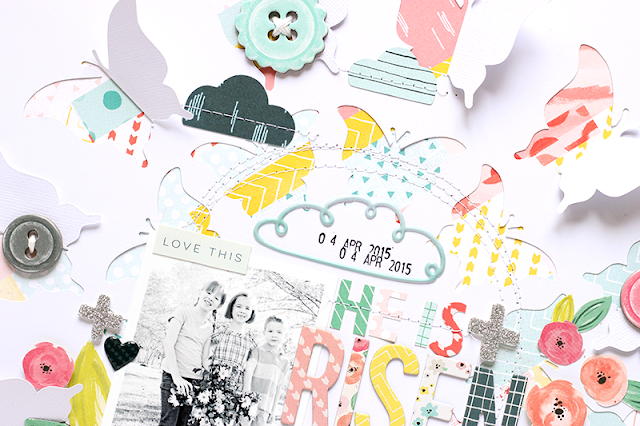 He Is Risen & FREE Cut File! This is a personal blog. All editorial content and projects are intellectual property of ashleyhortondesigns.com. I do receive compensation and material product from Pink Paislee to develop my craft posts, but all ideas and opinions are my own. Happy Easter Sunday!! Last year we attended a Crosswalk service at our church, 3 Circle Church. Families went through the Easter story and were able to build their own cross. The kids loved working on the cross and adding flowers to it. We were able to place it in the front yard, once we brought it home. I snapped some photos during the process, but loved this one of all three of them holding the cross. Sadly, the photo quality was not stellar, because I didn't have my DSLR last year. I tried editing the photo, while keeping it in color, but it just wasn't working for me. I decided to change it to Black & White to fit in with the colors from the Fancy Free collection by Paige Evans from Pink Paislee. I created the cut & fold background in Silhouette Studio, and I love that the butterflies go along with the theme of the layout. I wanted to have a light feel to this layout, so I cut the design from White cardstock and added color behind it with one of the Fancy Free patterned papers. FREE CUT FILE! Would you like the Fly, Flay Away cut file for one of your layouts!! 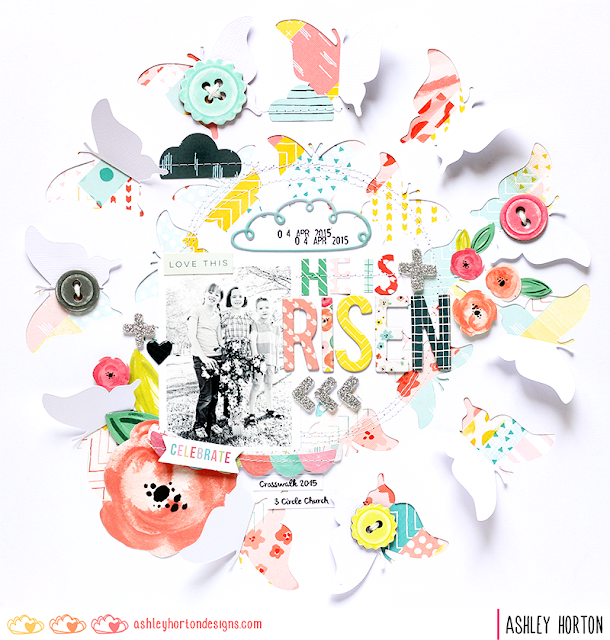 This cut file is only available as a Silhouette Studio file. Thanks for stopping in today! I hope you and your family, enjoys a safe and Happy Easter! The Cut Shoppe Gift Certificate Winner!